Purpose: To share and encourage. Writers can express doubts and concerns without fear of appearing foolish or weak. Those who have been through the fire can offer assistance and guidance. 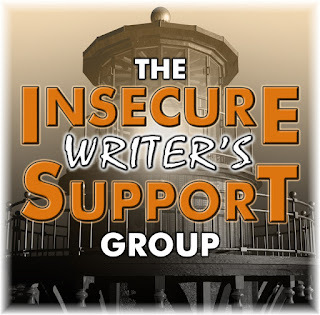 It’s a safe haven for insecure writers of all kinds. Last month I was in Portugal and missed posting on the first Wednesday. It was part research trip and part visiting family and friends, and it always feels like it goes by so quickly. 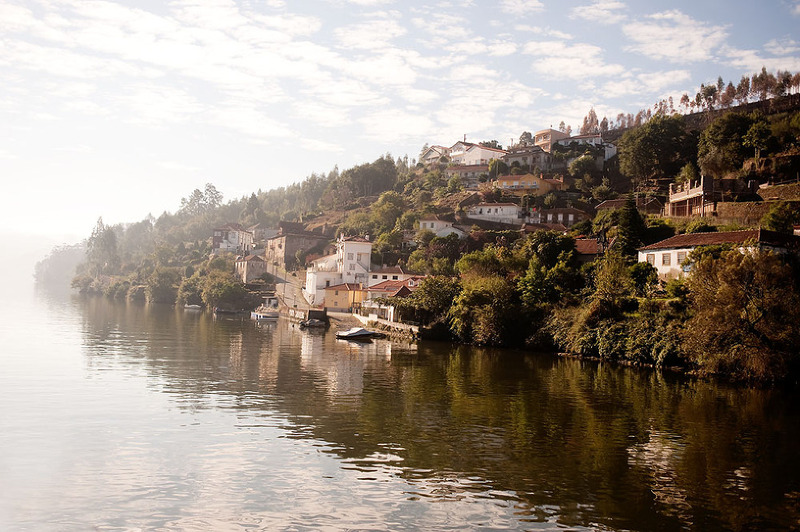 It gave me just enough fuel for my story which takes place on an 8-day river cruise up and down the Douro. I’m really excited about it and hope to see it published in the Spring. On the other hand, the beginning of a new project is always kind of stressful for me. It usually starts with “How will I ever be able to write another story?” followed by several unproductive writing sessions after which (I hope) my characters get tired of my dawdling and take over to see it all done. NaNoWriMo started yesterday and it was exactly four years ago that I finally began writing fiction, a story whose main character had been “haunting” me for almost 12 years then. I’m glad I was able to get my act together and see that story to publication, my first published book. NOVEMBER’S QUESTION: What is your favorite aspect of being a writer? I think my favorite part of being a writer is seeing the stories and characters I’ve grown to love out in the world where readers fall in love with them too. Every time I hear from a reader or read a review where they say they loved the characters, I think how it was all worth it, and it makes me so glad I kept going. That picture is beautiful. Glad you had a great trip and got research material as well. It’s a great feeling to connect with the readers. Your trip sounds wonderful. Gorgeous picture. DISCLAIMER: this is a brag post and I’ll be tooting my own horn. My second book, ONE SMALL CHANCE, officially came out two weeks ago on August 24th. It’s been a busy time with promotion ads and reviews and a book blitz day. I’ve learned more about launching a book than I knew the first time but there were still things I’ll try differently for the next book. Pretty cool, if I may say so myself. I’ve started prewriting and research for the next project and I’m getting excited about it. The best part is that I’m going to Portugal next month (it’s been over three years since the last time) and I have some in-country trips planned to research the setting further. Can’t wait!!! SEPTEMBER 7TH QUESTION: How do you find the time to write in your busy day? This is a tough one to balance. I prefer to write at night but since my kids are all in school, I try to make good use of my time alone when I’m not working (I’m a substitute teacher). I’m also learning to jump into the writing whenever I can and make those moments count. I lie to myself to get myself to sit down and write: “Just one paragraph, Roland. You can write one lousy paragraph no matter how tired you are, can’t you?” It usually turns into at least one page. Do that over a year, and you’ve written a novel! Congratulations on your book launch. Now I must go to amazon germany and see if it is there so I can purchase it. Your title is interesting. It caught my eye and I love the fact that it is a love story from Portugal. It’s Publication Day for ONE SMALL CHANCE! My new book, ONE SMALL CHANCE, is now available on paperback and ebook on sale for 99¢ for a limited time! Enter to Win a Signed Copy of my New Book! Giveaway ends August 26, 2016. My new book, ONE SMALL CHANCE, is coming out in a few weeks. I’ve finished edits (rounds and rounds and rounds of edits), and I’m sending the ebook to early reviewers very, very soon. I’m walking that fine line between being sick of it and wanting to have it published already. Today I’m talking about “The End”. I read a lot of books that have these two words as a conclusion to the story. I understand the purpose of it, and I can see why some authors use it. Obviously, you get to that part of the book and there’s no more story. When I wrote my first story, I didn’t finish with those two words. Then my editor typed them in and said something like “You’ve earned the right to type this”, but I still held back. I realized that while I was indeed done writing the story, the story itself was not done. My characters had more to live and the last line I wrote was not the end for them. And this is why you will not read THE END at the end of my books. AUGUST 3RD QUESTION: What was your very first piece of writing as an aspiring writer? Where is it now? Collecting dust or has it been published? The first story that I ever wrote was the first version of The Secret Life of Daydreams. Technically, it’s been published but it’s not the same story that I first wrote. After working on it for two years, I rewrote the whole thing from scratch (same characters, basic plot, and setting). I only kept the epilogue. So it’s a yes and no to this question. Congratulations on a job well done. You’ve finished the first round and getting ready for the second milestone which means marketing. I truly understand you not writing The End to your books or your short stories. I am leery of that two, because I ask myself when does a story really end. There are some stories that I want to continue on with but at a later time. All the best with your upcoming release. Congratulations on your new book! That’s so exciting! You should enjoy the moment…after all, lots of hard work goes into publishing a book. © 2014-2019 Lucinda Whitney Author |ProPhoto theme | Designed by That's Kinda Cool!